Charles Barkley never played for the Los Angeles Lakers or New York Knicks, but his view on analytics would be right at home in the front office of either team. One can hardly have a conversation about the NBA these days without hearing the word. 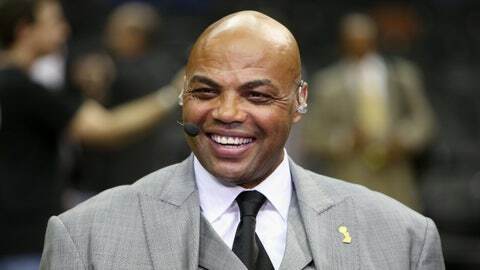 Charles Barkley poured several thousand gallons of fuel onto the fire two weeks ago with his outspoken comments against analytics and their use in the NBA. And he claims at least "four or five" coaches agree. But Barkley is only the most vocal and most recent critic of the analytics movement; those who support the use of numbers and quantitative analysis in professional sports don’t seem to have as large a platform. [Byron] Scott’s preseason declaration that he doesn’t believe an offense heavy on 3-point attempts wins championships runs counter to statistical analysis and recent history. Following through on Scott’s directives, the Lakers are taking the NBA’s third-highest percentage of their shots from the midrange, the least efficient area of the court. And suffice to say that analytics didn’t exactly back up the dollars and sense behind Kobe Bryant’s recent contract extension. The study, which casts a spotlight on how each team uses analytics, shows the Lakers are far from alone in their analytic skepticism. And that not all of the teams interested in analytics chose to dive into the deep end right away. There are curious teams and diehards alike, just as with any perspective on team-building and style of play. It’s an interesting look on where teams stand on this growing branch of sports. Just how does your favorite team feel about the elephant in the room — and the fact that said pachyderm is holding a calculator?